Are you looking for a great, personalized gift idea for this Father’s Day? When my husband hinted at wanting some updated photo magnets for his work, I thought this was a fantastic idea (the last ones I made have baby pictures of our six-year-old!). This time I opted for an upgrade from the cardstock photo magnets I made before. These new magnets have pictures transferred onto wooden circles, and they look like the photos were originally printed onto the wood! If you haven’t seen this technique before, you’re in for an absolute treat. In this tutorial, I walk you through step-by-step through printing, cutting, and putting the wooden circle magnets together. I have linked resources for everything so even beginner crafters should be able to put these together with ease. If you have a Cricut machine, I have special instructions to make cutting these out a breeze, but I’ve also got you covered if you don’t. I was able to include my boys in crafting the magnets (as it should be considering it’s for Father’s Day!) and even my three-year-old did a fantastic job. Are you ready? Let’s go! Click on File -> Make a Copy. This is VERY IMPORTANT! If you don’t make a copy you’ll be editing the original and everyone will see your pictures! If you notice there are custom photos in here, please let me know ASAP so I can fix it. Click on Uploads on the left. Upload your photos from your computer, or link up your Facebook account to grab photos from there. Click and drag photos from this box to each of the circles. Once a circle has a photo in it, you can click on Crop at the top of the page to change the position of your image in the circle. If you are planning on cutting out the circles manually, press Download -> PDF – Print, print it, and cut out the circles (they are already the right size you need for the 1 1/2″ wooden discs). If you want to try out a circle rotary cutter, I’ve shown how to use one here. *Note that your photos will show up on the wood in reverse, so if your printer driver has a “mirror” option it can be beneficial to use this if you don’t want your photos flip-flopped. Now skip ahead to the Photos to Wood section of this tutorial. 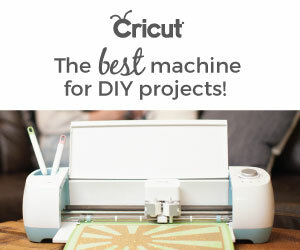 If you are using your Cricut machine, these next few steps are for you. First press Download -> PNG. If you have Canva for Work check “Transparent background” – otherwise keep going for a workaround. If you’ve done Print and Cut in Cricut Design Space before, you know you can make the background transparent when you upload a document. I however had problems doing it this way (it was trying to delete more than I wanted it to), so I edited it a different way on my Mac (if you have a PC, try out this tool). If you need to do this too, then open the PNG in Preview. Click the Markup Toolbar button (looks like a highlighter) then the Instant Alpha (looks like a magic wand) button. Click and drag the tiniest amount on the white background – this will automatically select all the white around your photos. Now press Delete, and voila, it’s all gone! Save and upload the image into Design Space. Select “Complex” as the image type and save as a Print and Cut image. Load the image into a new project, resize the width to 5.1″, print with Mirror set to “On” using an Inkjet printer on plain paper (you can save as a PDF and take to your local copy shop if needed), and cut using your Cricut machine. For each photo, mod-podge the heck out of the front of the image and place it upside down on the disc. Let your kids help with this part! Then let it dry completely. I waited five hours for mine and they were completely dry by then. Once the mod-podge is dry, get a wet washcloth and carefully start rubbing off the top layers of the paper. Keep going until you get rid of most of the paper crumbles. You will have a mess – just embrace it! Be careful not to scrub too much or you’ll take the actual photo off. Much better! And such a delight to see! Some of the images might be missing from too much scrubbing, but it adds to the rustic look so it’s all worth it. Now all that’s left is sticking the magnets on the back, and you’ve got a nice set of personalized magnets, perfect for Father’s Day. I’d like to share with you this delightful song that the children in our church often sing for Father’s Day. It shows the type of perfect love that exists between a father and a child. My hubby is out of town this week, so we are especially feeling the sentiment of this song for this Father’s Day. There is truly no replacement for a father in the home. I hope the father in your life enjoys these magnets and is aware of how much he is loved by your children! Did you enjoy this post? Please share the love and pin the image below. Thank you so much! I love the rustic feel of these! Great gift idea! These are so cute. I wonder what to do with some of my favorite pictures but this is a great idea for that! You’re so crafty! Now, you have me thinking about how I can use this technique to create a similar craft with my MOPS group. Do you think it would work with text only? I assume I would do the same thing in Canva, but just with text instead of pictures? Sure! I don’t see why it wouldn’t work. Just remember it goes on reverse so use something like Flip this (https://chrome.google.com/webstore/detail/flip-this/donljlliiecjcagcenoeohjmabfegkph?hl=en) to flip your text image once you’ve exported it from Canva!